Startups derive immense value from intangible assets. Startup valuations are based heavily on things you can’t touch: passion, brainpower, expertise, a business plan, and of course, intellectual property. Intellectual property law is a finicky beast. It’s complicated to understand and difficult to follow. In many situations, it’s contrary to the fast-paced and agile nature of a startup. But ask any startup veteran: intellectual property can make or break a successful exit. Here are seven things every startup should know about intellectual property law. ...ask any startup veteran: intellectual property can make or break a successful exit. 1. Registering a corporate name doesn’t mean you can use it. State approval of a corporate name only prevents duplicate company names. Startups need to perform their own searches against the relevant trademark offices to determine whether the startup is free to use the name. It’s also a good practice to file a federal trademark application at this time. 2. Patents confer a right to exclude, not a right to practice. Patents are often the most valuable piece of a startup’s intellectual property portfolio. And rightfully so. Patents can create an effective barrier to entry for competitors. However, patent rights have limitations. First, issued patents are limited in territorial scope. For example, a U.S. patent can only be enforced against competitors making, using, selling, or importing a covered product in the United States. Second, a patent only gives a startup the right to exclude others from making, using, offering to sell, or selling. As such, owning a patent on a covered product does not necessarily give a startup the right to make or sell that product. For example, components or features of a product may be covered under separate applications owned by others. In crowded spaces like consumer electronics, there may be thousands of patents that could prevent a startup from launching a new product. 3. Public disclosure can kill foreign patent rights. The patent system is designed to increase public disclosure of new and useful inventions. To encourage companies to disclose, the government grants patent rights in exchange for the public disclosure of useful inventions. 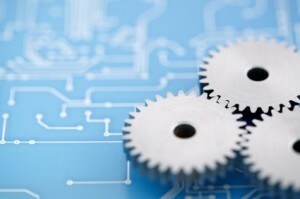 The United States will grant a patent if the invention was not disclosed more than one year before the date of filing. In other words, the United States has a twelve-month grace period. However, many countries lack a grace period. For example, European Union countries will not grant a patent if the invention was disclosed before an application was filed. As such, premature disclosure can cause a startup to lose foreign patent rights. 4. “Work made for hire” doesn’t work for software. There’s a bit of mystery surrounding “work made for hire,” especially when it comes to software. The “work made for hire” doctrine is important because it automatically transfers copyright ownership from the employee/contractor to the hiring party. Section 101 of the Copyright Law defines a “work made for hire.” If an employee develops software within the scope of his or her employment, the employer owns the copyright. No assignment necessary. However, the statutory “work made for hire” definition does not include literary works, such as software made by independent contractors. If an independent contractor develops software without a written assignment to the hiring party, the contractor is the author and owner of the developed software. 5. You need solid IP agreements with your contractors, founders, and employees. It’s easy to overlook intellectual property rights when a startup is focused on launching its minimum viable product. Contractors are hired, friends chip in and help code as a favor, and founders work non-stop to get a product to market. Unfortunately, contractors come and go. Friends move on to other projects. And founders leave—sometimes on less than friendly terms. What’s worse is that these departures can leave with rights to the intellectual property they developed. That is, unless you have strong intellectual property agreements in place. 6. Intellectual property costs can be deferred or spread out. Let’s face it, patents are expensive. Luckily, the patent system assists cash-strapped startups. For example, the U.S. Patent and Trademark Office offers reduced filing fees for small businesses. Furthermore, a typical patent filing can be spread out over the course of many years. For example, a startup can file a provisional application in 2015, file a PCT application based on that provisional in 2016, and nationalize the PCT application 18 months later. It pays to work with patent counsel to strategize ways to defer and spread out filing costs. 7. A poor provisional application hurts more than it helps. Provisional patent applications have less formal requirements. PowerPoint slides, journal articles, and the proverbial idea-on-a-napkin can be filed as a provisional application. By filing an application sooner, you are the “first-to-file,” thus protecting your invention. What could be simpler, right? ...there are numerous dangers to filing a patent application too early. In truth, there are numerous dangers to filing a patent application too early. Instead of rushing to the Patent Office with a half-baked idea or a flimsy patent application, startups may want to take extra time to build a prototype, perform some feasibility testing, and think about how the invention could be implemented before filing. Here’s the key: a provisional patent application only provides a filing date for the content that is supported as required under 35 U.S.C. § 112. Generally, this means the provisional application must be detailed enough that someone could read the patent and practice the invention. Mere mentioning of a feature without proper support is generally insufficient, yet the feature may still be put in the public domain by the disclosure. Further, later developments, such as refinements and new features may not be properly disclosed in a half-baked patent application. Consider waiting to file a patent application until as close to product launch or public disclosure as possible.